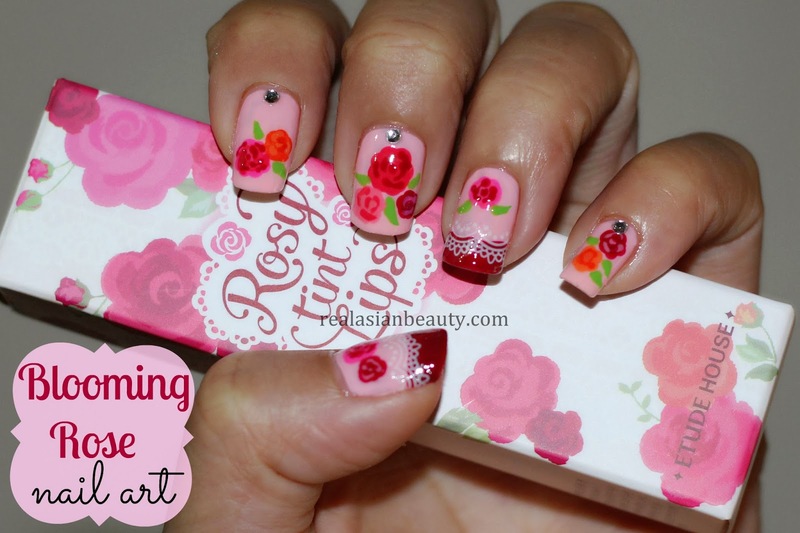 Real Asian Beauty: Etude House Nail Artiste Contest Winner?! 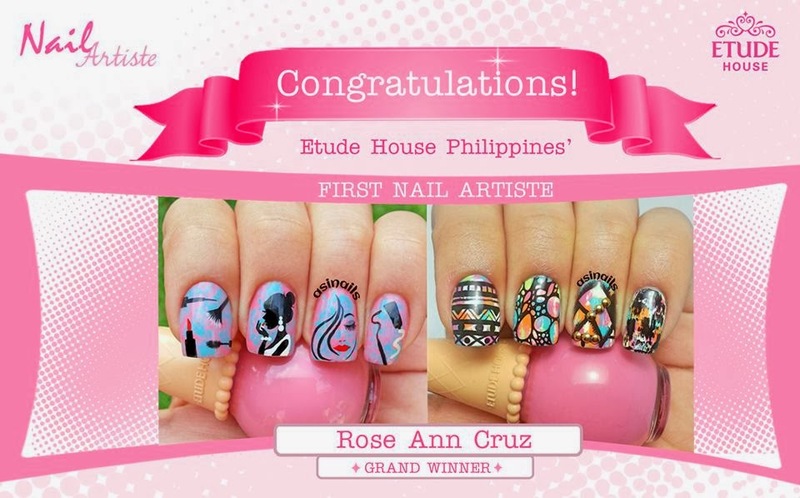 Etude House Nail Artiste Contest Winner?! 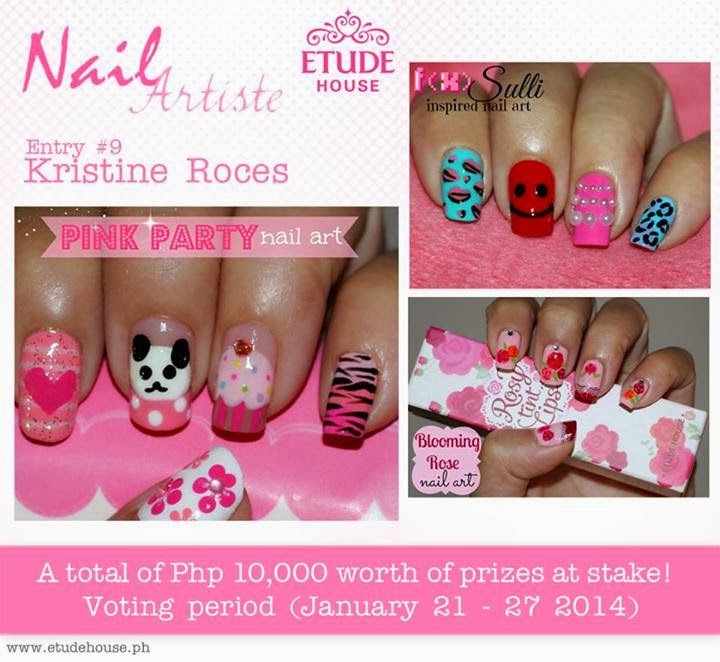 So Etude House recently announced their Nail Artiste contest. I KNOW I am not the best nail artist, I always admit that to you guys. But somehow you still watch my videos and read my posts. So that always motivates me to keep going. So I entered the contest because honestly, Etude House is my favorite Korean brand. I love the packaging and the price is really affordable. One of their criterias is to submit a MINIMUM, I repeat, MINIMUM of 3 designs. Minimum means...? Yes! Not less than 3 designs. So I did. 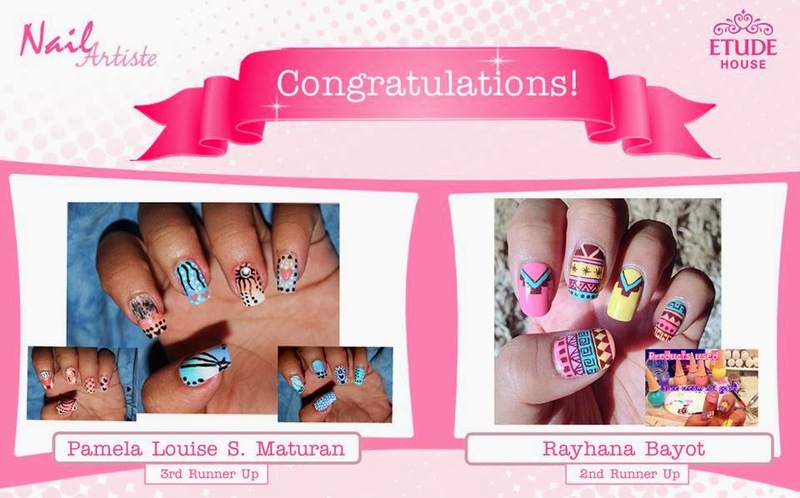 ✦ Participants will have to submit to us photo/ image of their most creative nail art designs. Minimum of 3 different nail art designs in one (1) entry. I thought they would like it if I used one of their products as the inpiration, so I did. 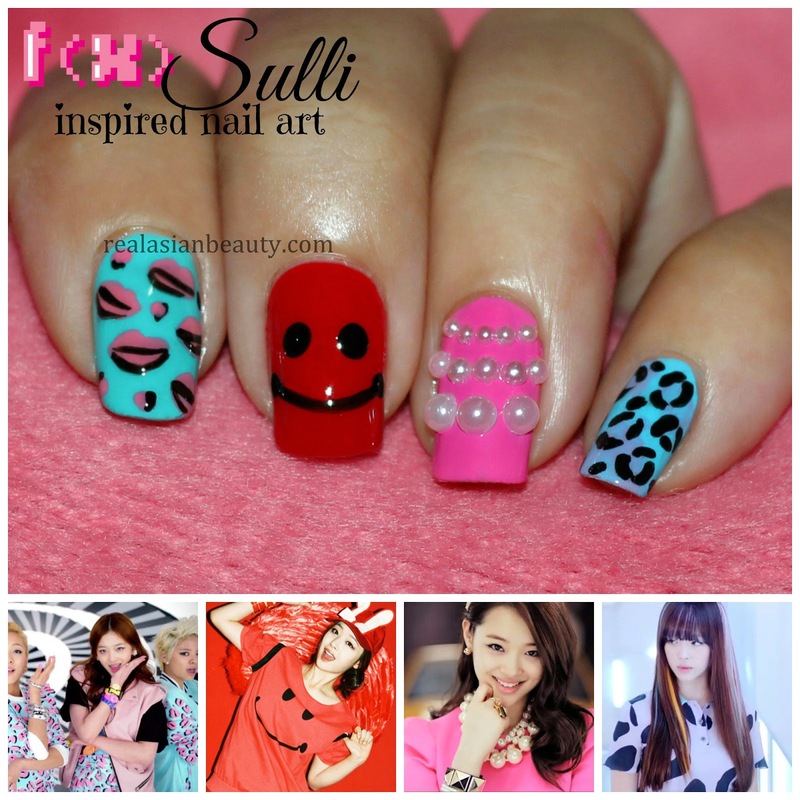 I also thought it would be best if I would use f(x)'s Sulli as the inspiration since Sulli is their current image model. I though that would make perfect sense. So, I did! ✦ Submission of entries : January 06, 12:30 PM – January 20, 11:59 PM. ✦ Voting Period : January 21 - 27, 12NN. Suddenly, January 23, 2014 at around 5:30 PM, Manila Time, my friend sent me a message saying Etude already picked a winner. When did January 27, 2014 become January 24, 2014?? Also, when did MINIMUM of THREE ever become 2 or just plain 1? Please don't get me wrong. I am not at all bashing the winners, they deserve it! Very talented people! But if one will hold a contest and have rules and criteria, why can't one stick to it? Picking a winner even before voting period ends? It's so bad because I love your products and I think they are amazing.  I review your products though I don't get any free stuff or sponsorship unlike other bloggers... But I was totally not expecting this. Oh also, the photos were posted on Etude House Philippine's official Facebook page. After 30 minutes or so, they took down the photos. I am NOT angry that I did not win. The winner is very talented indeed, I've seen her works. I AM angry because of how Etude House PH staff handled their contest. What a very fair contest, Thank You so much.